Reading HD’s Helen in Egypt while in Egypt is a special treat. Of course, how I got here is not nearly as fascinating as how Helen got here. Helen’s first trip to Egypt ended up taking more than a few lifetimes. And not just any lifetimes. In chronological order, it took the lifetimes of Stesichorus, Herodotus, Euripides, and Dio Chrysostom–a stretch of 745 years (630 BCE – 115 CE! )–to document the arrival of Helen in Egypt. But, we couldn’t ask for better travel guides. Following in the footsteps of such great and ancient poets, philosophers, historians, and wanderers, we see the world as they saw it; we see what they loved as they loved it. We see how great and ancient is the love affair between Greece and Egypt! It seems both ancient and unending. It is enchanting, impenetrable, unfathomable. But never unapproachable–it is a relationship at once seductively enigmatic and unambiguously palpable–almost too hot to touch and too compelling to resist. So I took the path of least resistance. I changed my middle name to Aisha, chose death by chocolate, and eloped with an Egyptian I met online. Some may insist I married Egypt to live beside Greece. Perhaps my first love led me to my last, or maybe they are inextricable lovers imprinted on the velvet fabric of my fate. Perhaps I share a few threads of DNA with Helen in Egypt. I share her bewildered fascination when I contemplate my surroundings as I sit in my lushly vined and leafy garden here in the heart of Egypt and wonder how I got here. Here, “the old enchantment holds. Here there is peace.” I don’t understand it, but I know exactly what she means. for Helena, Helen hated of all Greece. where the wave might have swept me away or ever these things came to pass. better man, that could feel the indignation of his fellows and their many revilings. thereof I deem that he will e’en reap the fruit. Was Helen in Egypt, Troy, or Both? Considered the first great lyric poet of the West, Stesichorus (Στησίχορος, Stēsikhoros, ca. 630 – 555 BCE) composed his verses in units of three stanzas (strophe, antistrophe, and epode). He was a contemporary of Sappho and Alcaeus, and similarly held a negative opinion of Helen’s moral character that was common in his time. Mysteriously punished with blindness for blaspheming Helen in one of his poems, Stesichorus was the earliest writer to compose an alternate version of Helen’s involvement in the Trojan War. Upon learning the reason for his blindness, Stesichorus immediately wrote his Palinode as a recantation of his previous writing and as a rejection of the myth that Helen had ever been in Troy. (click individual words for translation, and continue to  if you are so inclined–it’s fascinating). Euripides (ca. 480 – 406 BCE), in his play Helen (ca. 412 BCE), has Zeus command Hera to create a likeness, or eidolon (εἴδωλον), of Helen from clouds. It is this eidolon that Paris takes to Troy–thwarting Aphrodite’s cunning, Hermes has already taken the real Helen to Egypt, where she spends the entire war as a guest of King Proteus. Euripides’ play, Helen, progresses with the death of Proteus, the unwanted courtship of Helen by Theoclymenus, son of the late king, and the arrival of Menelaus in Egypt. Herodotus (ca. 484 – 425/413 BCE) states that he heard the old account himself, regarding Helen in Egypt (probably of Stesichorus because this was about 30 years prior to Euripides’ Helen). So he travels to Egypt and interviews the priests of the Temple of the Foreign Aphrodite at Memphis, to which he directly attributes the worship of Helen in Egypt. Herodotus writes in The Histories 2:113-120 that the temple priests report Helen arrived in Egypt soon after being abducted by Paris. Strong winds blew the ship off course, and they wound up in Egypt rather than Troy. Learning that Paris has abducted King Menelaus’ wife and stolen his treasure, King Proteus recovers the treasure, places Helen safely in his palace, and sends Paris home defeated and empty-handed. Herodotus further reports that, upon commencing the war against the Trojans, the Greeks refused to believe that Helen was not in Troy and fought until they took the city. Lethe, as we all know, is the river of forgetfulness for the shadows, passing from life to death. But Helen, mysteriously transposed to Egypt, does not want to forget. She is both phantom and reality. and cursing Helen through eternity. Returning to Herodotus, he continues with his report. Once Troy was taken, the Greeks again demand the surrender of Helen. As in the beginning of the war, they are told that Helen is not in Troy, but is in Egypt at the palace of King Proteus. With no choice except to set sail, Menelaus boards his ship and heads for Egypt. Upon arriving, he recovers Helen and his goods, and finally sails home to Sparta– but not before offending the Egyptians by sacrificing three native children. So How Did Helen Wind up Married to Achilles in Leuke? This is where it gets complicated–as if it was as easy as spinach pie (spanakopita) so far. There was born of Helen and Achilles in the fortunate isles a winged child named Euphorion after the fertility of this land; Zeus caught him and with a blow knocked him to earth in the isle of Melos, where he continued the pursuit and changed the nymphs there into frogs because they had given him burial. …Is it possible that it all happened, the ruin–it would seem not only of Troy, but of the “holocaust of the Greeks,” of which she speaks later–in order that two souls or two soul-mates should meet? It almost seems so. nor asked, are you Spirit? are you sister? are you brother? Why Leuke’? The answer to this question hides in the Epic Cycle, obscured by literary sources more fraught with controversy than Homer’s Iliad. Glossing over the issue, we can say there is great uncertainty regarding the date of the Epic Cycle, but it is generally accepted that the legends are post-Homeric, perhaps composed in the late seventh century BCE. However, the legends narrated in the Epic Cycle, as well as the Iliad and Odyssey, are considered to be far older gems of Mycenaean Bronze Age oral tradition, well known long before they were written. We won’t consult Plato’s Socrates to ask if the invention of writing was a blessing or a curse, but he had a strong argument. With the oral tradition lost, and the Epic Cycle surviving only in fragments, the few details we know of the Epic Cycle come to us from an unknown “Proclus,” in a prose summary contained within his Chrestomathy. …and send an embassy to the Trojans, demanding Helen and the valuables. Then when the Achaeans are eager to return home, Achilles holds them back. The very first meeting between Achilles and Helen is short, dry, and hardly noteworthy. But the real Cypria must have been a bit juicier because imaginations have been actively pursuing the love affair between Helen and Achilles ever since. Did Achilles meet the real Helen? Or do you think he met Helen’s eidolon? Standing on the ramparts, viewing the battlefield and her fellow countrymen, carefully concealing her fascination for the heroic exploits of the legendary Achilles, was it she, really? Or was she just a wraith, a dream, a hallucination? the reason that brought us here? was the Fall of Troy the reason? against one kiss in the night? Was it possible that the entire Trojan War occurred purposely to bring Helen and Achilles together? The possibility is tossed and turned and gnawed on endlessly in Helen’s introspective probing, clearly influenced by HD’s complicated relationship with Sigmund Freud throughout the 1930s. …But Achilles, while routing the Trojans and rushing into the citadel, is killed by Paris and Apollo. …the goddess Thetis raised this island from the sea, for her son Achilles, who dwells there. Here is his temple and his statue, an archaic work. So now we’ve come full circle in our journey guided by the ancient travel guides. We find ourselves back in Leuke’, the White Island, exactly where we started in the beginning with Pausanias’ report of Helen’s explanation for Stesichorus’ blindness. In all my journeying through legends, myths, and summaries, nothing more specific regarding the love affair between Achilles and Helen has come to light until HD’s delightfully introspective exploration of Helen in Egypt. Mysteriously guiding the reader through Helen’s conscious thoughts as she drifts between the lotus-decorated columns of Amun-Zeus, through the blinding white snow falling on Leuke’, and the chaotic battle scenes on the ramparts of Troy, HD offers an epic journey of not just a lifetime, but of many great and ancient lifetimes. Yes, reading HD’s Helen in Egypt while in Egypt has been a special treat–perhaps surpassable only by reading it while lounging like Helen herself in the privileged shade of Karnak’s Amun Temple. The privileged shade of Amun Temple in Egypt. Source: Wikimedia Commons. HD’s Helen in Egypt is as seductively enigmatic and unambiguously palpable as the great and ancient love affair between Greece and Egypt. It is a classic in its own right, an eloquently concentrated expression of epic vision and truly poetic imagination. But, is Helen in Egypt a Love Story? But, in the end, is Helen in Egypt a love story? This is another complicated question. The couple’s first encounter, according to HD, includes Achilles grabbing Helen by the neck and throttling her–and Helen loves every minute of it. Helen then spends the rest of the book introspectively obsessing over Achilles while replaying his attempt to kill her–as though it was their first kiss! So, in the final analysis, yes, but like everything about Helen in Egypt, it’s complicated. HD presents an unexpected love story, not so deeply devoted to Helen and Achilles as it is to Achilles and Thetis. I was especially impressed with HD’s key treatment of the love Achilles carries for his mother while he is a child under the tutelage of Chiron. Achilles crafts a token, an eidolon, in the romanticized form of Thetis and hides it in a tree. Often, at the end of the day, he comes to her in his secret tree, remembering the love of his mother. Later, leaving for Skyros under his mother’s command, Achilles forgets his eidolon, abandoned in the tree near Chiron’s abode. Then, deserting Thetis’ command at the arrival of Odysseus bringing news of war at Troy, Achilles’ abandonment is complete. Thetis loses her beloved child to a fate stronger than a mother’s love. like Hecuba, for Hector dead. Then, HD introduces a surprising and innovative twist by ultimately avenging Achilles’ dereliction of filial duty through the agency of Paris. Specifically, by the death-arrow Paris shoots at Achilles. Even more ingeniously, HD discloses the final service and destination of Paris’ death-arrow as a solitary feathered tribute of love on an altar dedicated to the sacred cult of Thetis! what had Paris to give her, or Eros? What an incredibly well-psychoanalyzed end for Achilles! Simply stunning, isn’t it? But, is that it? Is that the end? I swear it slapped me in the face and deliciously took my breath away at the same time. I spent a week obsessively brooding over it, wanting more, smiling like a cat, and feeling mysteriously just like Helen in Egypt, loving it while HD throttles me. In Egypt! Simply love this post Kathleen. Also your lovely home in Egypt, the scenery looks out of this world. Thanks, Rita – welcome to my little oasis! Hi Kathleen If you ever come to Crete don’t forget to look us up. I think you would love it. I know I loved Egypt. Oh wow, what a wonderful invitation! I do hope and pray I will someday come to Crete – it is a huge dream of mine! Well you are welcome to come stay with us we have a spare room for two. Think about it then O.K. Loved the article. I had read about Helen’s time in Egypt in Herodotus’ Histories but as yet hadn’t read Euripides version or Stesichorus. I read Bettany Hughes Helen of Troy, which was fantastic, and will read again when time permits. Thanks Luciana, I just love how the generations keep the myths alive and even relevant – as you yourself are doing with your own writing! I know you are very busy and I wish you great success with your new book! 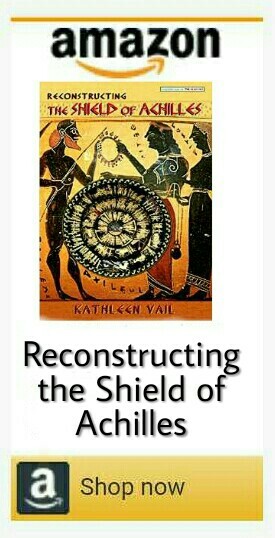 Not only your retelling is historically accurate and very well documented but it gives us elements to understand how Helen might have been a bridge among cultures, to a certain extent— And also a factor of discord, given that she is often seen as the person who triggered the Trojan War, which was extremely disruptive for ancient greeks. I wonder if her active role as as such might have been a bit exaggerated, being her as a woman a bit deceitful. I always wonder this. I guess her extreme beauty could have been a very important issue, anyway. Thanks for your visit and insightful comments, Aquileana – – and yes– to all of the above! She certainly was disruptive, to the Greeks and Trojans alike; her extreme beauty made her a tragic victim, tho – not exactly something she could be blamed for… As for being “a bit deceitful” lol that’s full across the genders, isn’t it?! Maybe Odysseus takes top prize for that one, and a bit proud of it, too! About the exaggeration, I guess that’s what makes mythologies so special and memorable across the world and all the ages! Thanks Cybele – great to “see” you!